But that’s only one piece. My journey in the two days of October break participating in the NYC Entrepreneurship Road Trip, hosted by the Gwen M. Greene Center and the Ain Center for Entrepreneurship, opened my eyes to what it really takes to be your own boss. 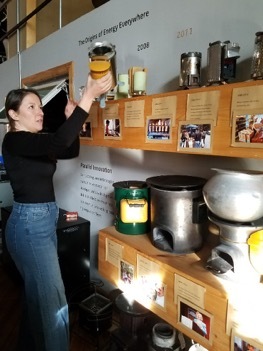 Erica Rosen, Director of Marketing for Biolite Energy, showing us the stages of prototyping for their CampStove. WHAT IS THE NYC START-UP CULTURE? According to Pujari, New York City investors want to see metrics and results before they want to be your investors. It’s a different mentality in San Francisco, where passion and a big idea can win. No need to fret if you just have an idea though; New Lab, a multi-disciplinary technology center housed at the Brooklyn Navy Yard, has you covered with prototyping help (and a network of VCs, domain experts, and corporate partners included in membership). They welcome you whether you have a team or if you’re a one-person company. New Lab’s interior decorating is also on-point, they bring nature inside to you! 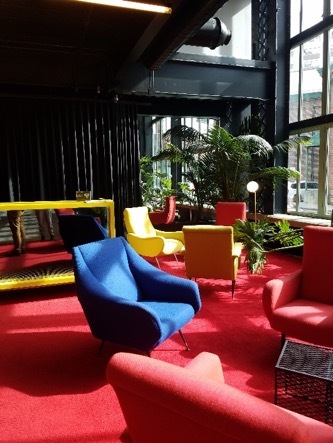 Now I can’t talk about interior decorating without talking about WeWork, a company that designs, builds and operates workspaces for companies from startups to large businesses. As we got off the elevator on their main floor, I was cheerfully greeted by vibrant walls with basketball hoops attached. After taking a few steps further in, we saw adorable furry friends freely roaming around the urban-chic, glass and aluminum office, mingling along with the bustling people. Besides being starstruck by the facilities and the nature of the entrepreneurial spirit there, I also got to learn valuable life lessons directly from the NYC entrepreneurs. The New Lab building, a community that assists the city’s leading companies working in advanced technologies. Swarnav Pujari reinforced this theme when asked about the key to his success: “it’s all about adding value.” He then recalled a conversation he had with a real estate developer who did not care about how solar panels can save money, but how to generate more money. When he understood the values the client wanted, he modified his approach to marketing his business. We all follow a different timeline – you don’t have to start your own business now (perhaps you just want to join a startup), but it’s important to know your opportunities! I feel that going on this trip is an instance of an opportunity I created for myself. Have you thought about sustainable living recently? Lani Chau ’19 (MS) is investigating the design of renewable energy systems to enhance the portability and integration of green energy technology into the fabric of everyday living. She recently worked on an electrochemical engineering project at Brookhaven National Laboratory, studying solar water splitting. Lani is currently an MS Technical Entrepreneurship and Management candidate with a concentration in Energy & the Environment. One of our fantastic Experts-in-Residence, Kathryn Cartini, has been named one of The Business Journals’ “Influencers: Rising Stars” for 2018. Learn about Kate’s background and award here. One of our Experts-in-Residence, Kathryn Cartini, has been named one of The Business Journals’ “Influencers: Rising Stars” for 2018. The Business Journals consortium of over 40 business publications recently shared their list of 100 Influencers: Rising Stars. 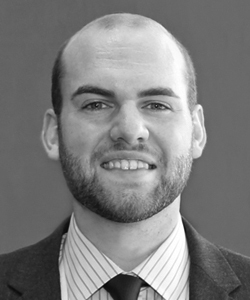 This list celebrates people in business throughout the country who are positively impacting their companies and communities at a relatively young age. These individuals are selected for their actions, as well as for their vision of business for the future. From an initial pool of over 1,000 names, Kate Cartini and 99 of her peers were chosen for this honor. The Business Journals heavily relied upon the network’s 40 Under 40 profiles, but whittled those names down in order to find the top 100 candidates. 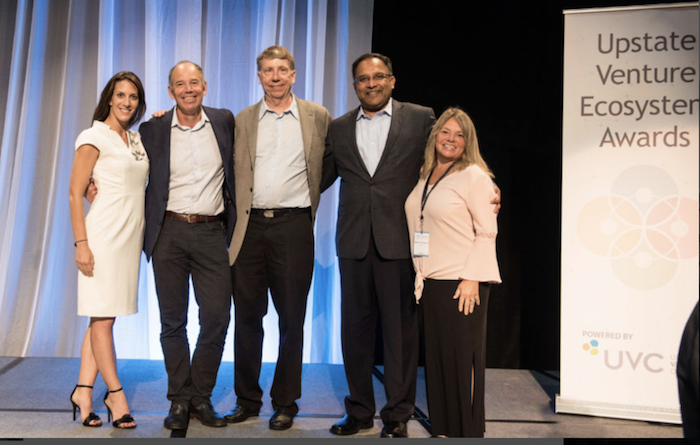 Kate Cartini, the UVC team, and Marc Randolph (Netflix founder) at the 2018 Upstate Unleashed Conference. 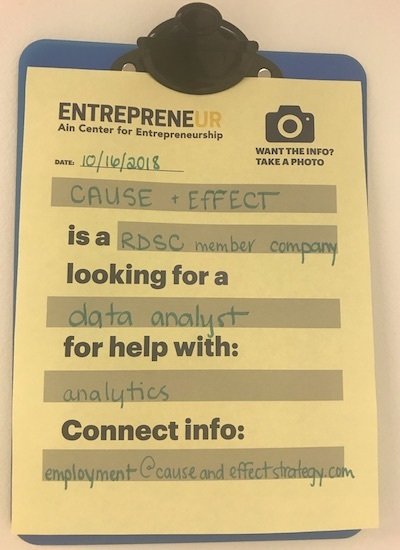 Kate began with the Ain Center as an EIR just over a year ago, but has been in the startup space for many years. In addition to her multiple volunteer roles throughout the community, she currently serves as the Chief Marketing Officer for Upstate Venture Connect, a Partner at Chloe Capital, and the CEO/Founder of Peacock Media, her own storytelling and marketing firm. Upon graduation from Syracuse University, she worked as a journalist and moved around the east coast, simultaneously engaging with innovative communities and gaining interest in the field. 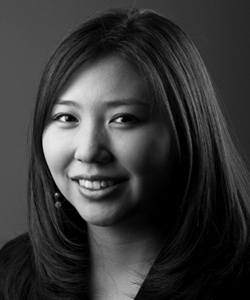 Eventually, she moved back to upstate New York to help grow the entrepreneurial ecosystem and help the region flourish. Over the past few years, Kate has done her part – both through her professional and volunteer activities. 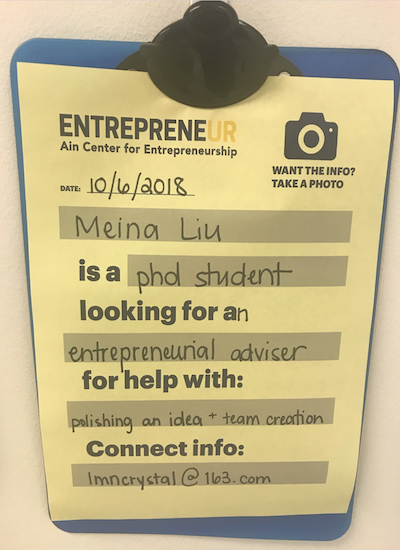 We are proud to have Kate Cartini as part of our entrepreneurship team at the University and we send her the utmost congratulations on this honor! 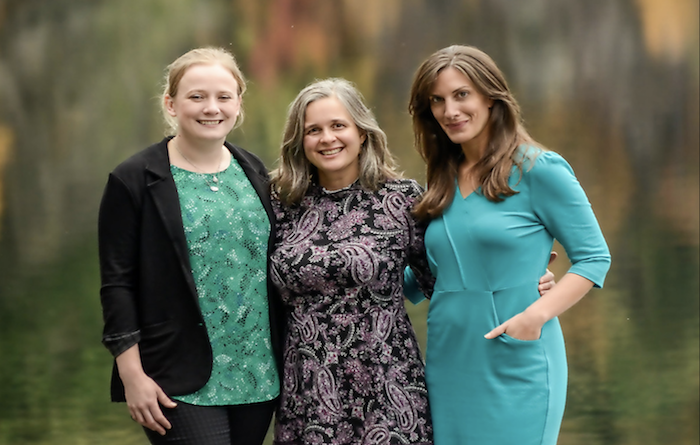 The Chloe Capital team of Erica O’Brian, Elisa Miller-Out, and Kathryn Cartini. Kate will be leading a storytelling/pitching workshop on River Campus in March 2019, so be on the lookout for those details! Interested in talking with Kate or one of our other experienced entrepreneurs? Check out our Experts-in-Residence program and make an appointment today! If you are working on a product that’s going to be consumer-facing, then feedback is invaluable. You should be out there being brave and talking to people and asking for feedback as much as possible. The University of Rochester supports the National Science Foundation’s I-Corps Programs and, in honor of the upcoming short course, here’s an overview of what the Ain Center runs and how these programs can help launch your venture. Read more about the University’s offerings here. Though we do not host the NSF I-Corps Team Program (below), this is an option for those who have completed either of the programs listed above. The Teams Program is a large commitment, but participants gain access to significant resources and business know-how. The benefits of participating in these programs are long-lasting. 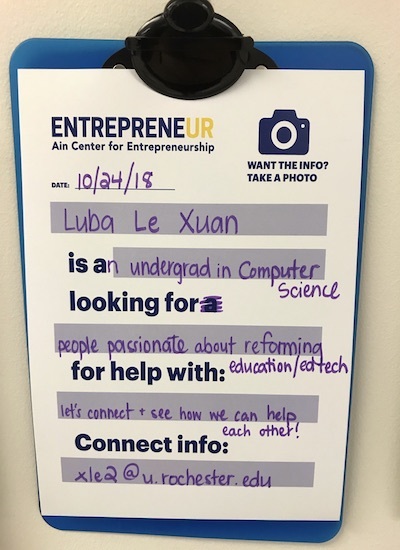 To learn more about the University of Rochester’s participation in I-Corps programs and for more information regarding eligibility and the application process, please visit the Ain Center for Entrepreneurship’s website.